In the years since manual typewriters and whiteout gave way to laptops, one fact of the writing life has not changed. Writers still need to learn from each other the old-fashioned way: in the flesh, one on one. The desire of writers to seek out a professional community accounts, in part, for the success of the Wesleyan Writers Conference, celebrating its 50th year. The conference brings writers of all descriptions to campus every summer for an intense week that starts with classes early in the morning and extends through evenings with readings, and on into the night for as long as participants care to stay awake and talk with each other. It’s not unusual to see a weary writer taking a nap in the shade of a tree during a few unscheduled minutes. The conference has its share of young aspiring writers, but the mix is far broader?this year, for example, a senior corporate attorney who had already published highly regarded nonfiction, the vice chancellor of a medical school, and a large contingent of working journalists. Graduates of the conference have won Pulitzer Prizes, Guggenheims, the National Book Critics Circle Award, and other writing honors. “It’s deeply important to people who aren’t in school to go back to literature and writing,” says Anne Greene, director of Writing Programs at Wesleyan and director of the conference since 1983. “They will do almost anything to have that experience. 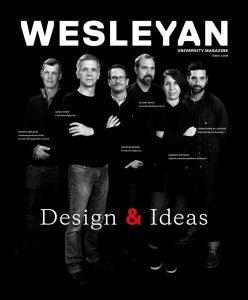 Of the more than 800 writing conferences that take place every year in the United States, Wesleyan’s is among the oldest and has a reputation based on the consistently high quality of the faculty and the rigor of the program. This year’s faculty taught classes in the novel, short story, fiction techniques, poetry, literary journalism, and memoir. The roster included Alexander Chee ’89, winner of the 2003 Whiting Writer’s Award; Roxana Robinson, author of four “Notable Books of the Year” as designated by the New York Times; Croatian writer Josip Novakovich, whose fiction and poetry are widely anthologized; Honor Moore, a widely published poet and biographer; Katha Pollitt, award-winning columnist for The Nation; and Jonathan Schell, for many years a staff writer at the New Yorker, author of 11 books, including The Fate of the Earth, and MacArthur award winner. In addition, Greene brings well-known guest speakers every year, such as award-winning fiction writers Ann Beattie, Robert Stone, and Jules Feiffer. Greene first took charge of the conference just before a number of universities started new MFA programs, which suggested the existence of a growing audience of people interested in writing. Since then, the conference has more than doubled in size, this year bringing 128 individuals to campus. Donors have provided funding for eight separate scholarship awards, which have enabled the conference to help many young fiction writers, poets, and journalists attend. In 2006, the conference received 300 scholarship applications. One disappointing hitch was that two scholarship winners from Nigeria and Kenya were unable to obtain visas to enter the United States. New topics also arise as the conference grows, including explorations of new media and new ways to think about publishing. Despite the changes, the heart of the conference remains in the opportunity for writers to hear thoughtful criticism from faculty and from fellow students. Journalists Tom Hallman and David Marcus each won a Pulitzer Prize for feature writing. Poet Judy Jordan won the National Book Critics Circle Award for poetry. Fiction writer Paul LaFarge won a Guggenheim fellowship. Wesleyan Writers Conference participants are featured in almost every volume of the Best New American Voices anthology.